The historic city centre is a prominent World Heritage Site of UNESCO. It is oval-shaped and about 430 hectares in size. The area of the whole city amounts to more than 13,840 hectares, including 1,075 hectares off the coast, at Zeebrugge. The city's total population is 117,073 (1 January 2008), of which around 20,000 live in the historic centre. The metropolitan area, including the outer commuter zone, covers an area of 616 km² and has a total of 255,844 inhabitants as of 1 January 2008. Along with a few other canal-based northern cities, such as Amsterdam, it is sometimes referred to as "The Venice of the North". 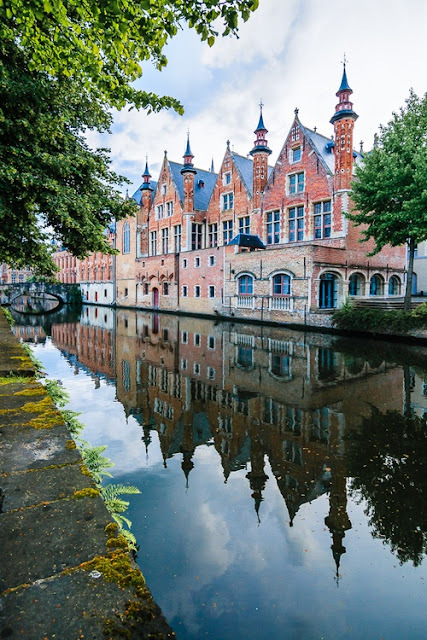 Bruges has a significant economic importance thanks to its port. At one time, it was the "chief commercial city" of the world.